For years GRAKOM SN company supplies the market with the top quality oak and ash parquet, it has heating briquettes and all types of oak timber in its offer, it is technologically equipped and expert leader in parquet production on our market. Beside all of these, in a few months GRAKOM SN will make top-quality prepared, oiled and ready-to-install floorings available on the market. Flexibility in business is, doubtlessly, one of the conditions of market survival, which is best shown in the example of GRAKOM SN company from Belgrade, a company which exists for 22 years. In this period this private company has changed the business program for many times while adjusting to market conditions. Also, in the last ten years, by dealing with wood processing, together with permanent investments and development, GRAKOM SN became a leader in oak parquet production on this market. – After establishing in 1992, we dealt with some construction work, renovation, building and rebuilding, and we also built some new facilities, and then in the big inflation period we have started to deal with trade. Namely, during the sanctions period civil engineering was dying down, and public companies could not import, so we have had to find a way for us, private companies, to import for them– remembers Mr Slobodan Ničević, owner and director of GRAKOM SN company. – We imported bearings, other parts and machines, as well as black metallurgy; we supplied great systems: EPS, power stations, mines, but soon EPS started to pay us with bills of exchange which we used to pay electric power supply bills to big systems such as Bane Sekulić, Toza Marković, Cementara Beočin, Popovac, and we got some construction material from these companies as a compensation. That is why in Luka Beograd we have opened two big warehouses of construction material and it was good for some time, but this business was gradually falling. In the meantime we have bought and arranged a building site of 70 ares on the Batajnica road where we built a facility of 1800 square meters. We moved warehouse here and started with the production of palettes, then strips and soon after that parquet. Currently, we plan a production of floorings, which we will hopefully export to a great extent. – GRAKOM SN has been gradually, but permanently developing, technologically equipping and conquering the market with the product of good quality. Only in the last year we have invested about one million of Euros into machines, we have bought a truck and a new briquette machine, and a complete briquette production goes to the Western market. 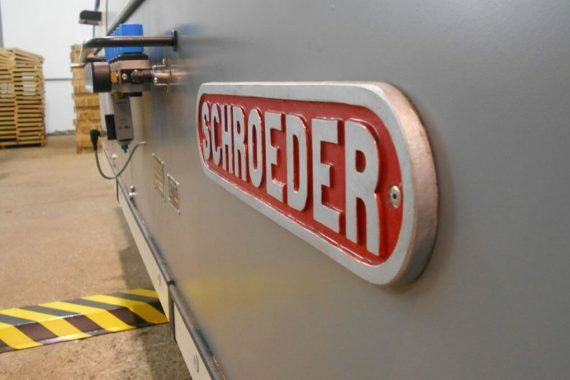 We invest all the money we earn, so together with our building site we have bought one more and entered negotiations for building one more hall of nearly 3.000 square meters, and we have also bought a new SCHROEDER machine. We have a perfect location which will be even more attractive after building of a new bridge on the Danube and after finishing of the Batajnica loop. 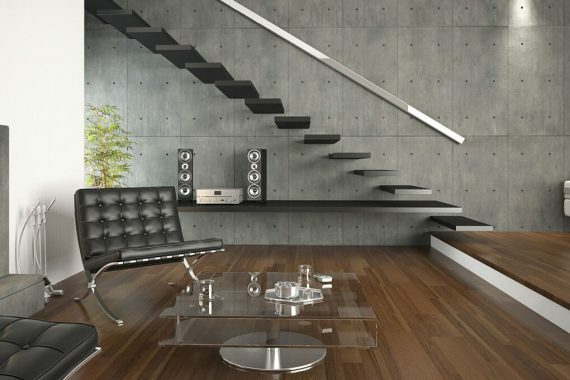 We have our name, fair relations with suppliers and buyers, technologically we are for sure among the best equipped companies, we have expert and well trained employees, and that is why our parquet is of the best quality, and that is how, by the end of this year, the situation is going to be also with floorings – says Mr Slobodan Ničević. – We successfully deal with the production of elements for export for a long period of time and it functions very well. Practically, each year we level up the sale for some twenty percent. This year we have made a decision not to export a semi-product anymore but to start with the finalization, so in a few months we will have a completely prepared final product, oiled floorings ready for installation. There will be two thicknesses available, 20 and 15 mm and it will be possible to install them after underfloor heating – explained Nenad Ničević. – Logically, we will still produce parquet, because on the parquet market we are the leaders, but we will also make some thinner variations. Our goal is to make some refreshments, but we should also mention that the machine we have bought enables us to triple the production. The machine does not work at its full capacity at the moment, but very soon it certainly will. We should also say that there are enough certified raw materials, we also have contracts with public companies JP Vojvodinašume and JP Srbijašume and there are no any problems. Also, since the last year we have a FSC certificate. We have the attests for each class of parquet, and as soon as we enter the floorings production we will do the attests for the floorings. We have precise machines which will bring the wood processing to perfection, we have a nice packaging, and we will do our best for everything else to be appropriate to our up-to-now practice. Our goal is, actually, in a few years to become in the floorings production the same as we are now in the parquet production. GRAKOM SN plans a new hall, for which the building project is ready, to be equipped as a representative exhibition hall, and there will be enough space for that, since together with current newly-built space the production space will almost reach 5.000 square meters. Besides, we plan investments in two more driers of NIGOS company, as well as into some more projects. – My brother has already mentioned that since last year we have FSC certificate which is exceptionally important for the product export to the European market. It means that the production standard of all our products is automatically leveled up, as well as the interest of buyers. We can already notice a growth of interest of foreign clients. Some new of them have already contacted us, and big companies with whom we cooperated until now have much better opinion about us. Around 60% of our income derives from the export… As far as marketing is concerned, we constantly work in that field, because there is a need to be present in public in different ways. Those are familiar principles, so recently we made a new website. Our goal is to also follow trends in electronic forms of communication. As a liquid company which fulfils its duties on time, we are a desirable customer to all banks, but for our business it is important to emphasize that we have an excellent cooperation with ProCredit bank… After all, we give our best to cooperate with all our business partners in an absolutely fair way, as well as with the environment in general– said Mirjana in the end of our conversation. It is obvious that, by establishing the company, Slobodan Ničević succeeded in establishing his successors. His son Nenad is there for a long period of time and he conquered all the secrets of this business, so in the beginning of the last year he became the company director. Daughter Mirjana joined the family company right after her studies. Based on a family tradition and supported by a family structure, companies like this have a solid base for development and success. Their work and communication have to express the level of tolerance, trust, mutual understanding, respect and appreciating. It is also important to know who decides what, what is one’s job and what is one responsible for … These rules are, obviously, an integral part of GRAKOM SN company business in which there is discipline and order, but also a unique simplicity and natural spiritual peace. For sure, each visitor will have such an impression about this company whose foundation was set and business was traced by Slobodan Ničević. Support and help is, doubtlessly, something he has always had in his family. It is obviously seen.